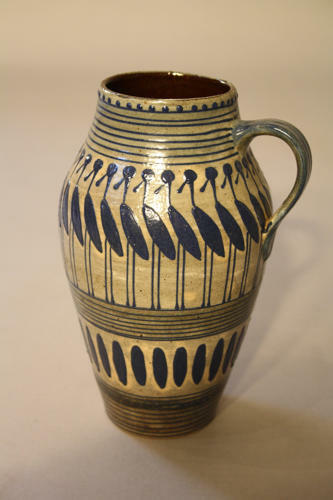 Early C20th German hand made and hand painted and glazed pottery jug depicting stylised storks in dark blue. c1910. A fun and charming example. No chips or cracks.